Pope Francis wants the Catholic hierarchy to consider ordaining women as permanent deacons. Within the Catholic Church, ordained deacons provide assistance to bishops and priests. They can officiate at baptisms, weddings and funerals and are allowed to preach at Sunday Mass. For decades, this role has been reserved for men only. But that may soon change. Pope Francis announced recently that he wants the church hierarchy to consider ordaining women to what's known as the "permanent diaconate." Speaking on GLT's "Sound Ideas," Hofstra University theologian Phyllis Zagano, one of the nation's foremost advocates for women deacons, said such a change would in effect be going "back to the future." Women in the early church served in roles similar to that of present-day deacons, she said. They were involved in the charitable works of the church, preached and ministered to other women. Indeed, there is one woman in the New Testament who is described as a deacon. She is Phoebe, said to be the deacon of the church in Cenchreae. "She is the person we understand carried St. Paul's letters to the Romans," Zagano said. On a visit to Philadelphia in September of last year, Pope Francis told a gathering of U.S. bishops that the apostles recognized they couldn't do all the work the church required, Zagano said. "So they basically invented -- and that is Francis' word, invented -- the diaconate. If the diaconate is is a creation of the church, the church can change it," Zagano added. Not so the priesthood, however. On that hot button issue, Zagano said, the church has been clear that only men can be ordained priests. "The argument is that priesthood is off limits because Jesus is known to have chosen male apostles," she added. Zagano said she does not expect that teaching to change, even if women are allowed to become deacons. She argues, however, "There is really no barrier to restoring women to their traditional role [as deacons] because the diaconate from the very beginning, the earliest documents of the church, there were male and female deacons." Male and female deacons were common in the church up until the Middle Ages, when the role of priests became more dominant and powerful. The Second Vatican Council, which took place in the early 1960s, restored the role of deacons, and they have been a common presence in Catholic parishes since the early 1970s. Deacons serve in every Bloomington-Normal parish. Today, the diaconate is split between unmarried men who plan to pursue ordination as priests, and single, married or widowed men who are ordained to the "permanent diaconate." 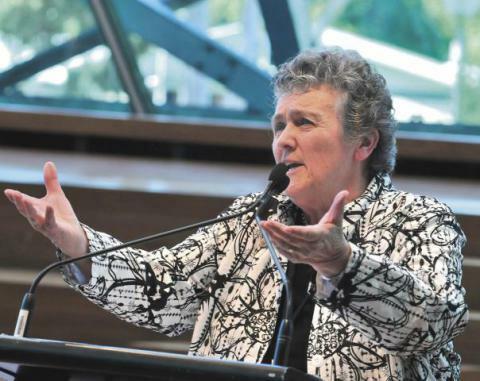 Women would become part of the permanent diaconate if current rules change. One rule of the permanent diaconate is that while deacons are permitted to be married, those men must vow not to remarry if a spouse dies. Women deacons likely would be expected to do the same. There are currently 15,000 permanent deacons in the church, compared to about 37,500 priests, according to Georgetown University. Fairbanks, Alaska has the highest per capita concentration of deacons of any U.S. city. The Archbishop of Chicago -- the leading Catholic official in Illinois -- is becoming a prominent spokesman among American bishops for stricter gun laws. 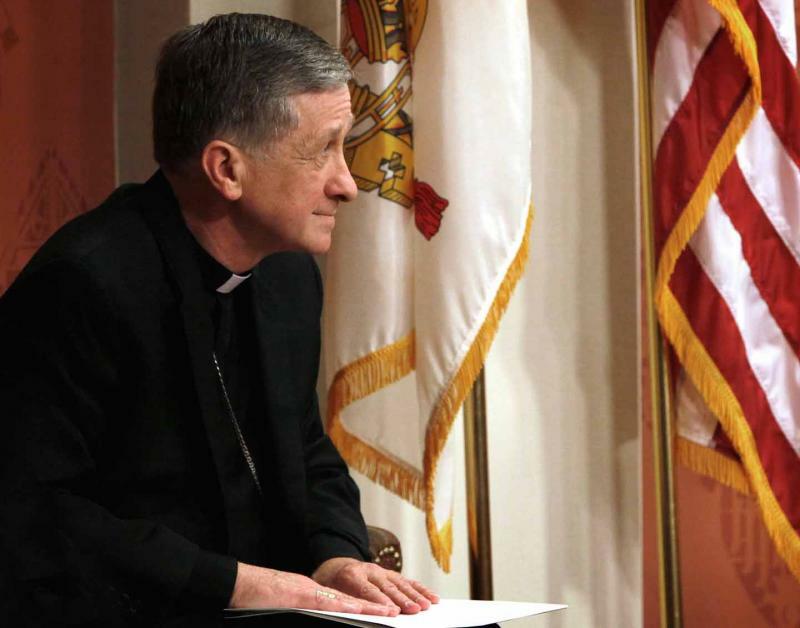 In this wide-ranging interview with WGLT's Judy Valente, Blase Cupich talks about recent street violence in Chicago as well the terrorist attacks in San Bernardino, and how people of faith should respond. 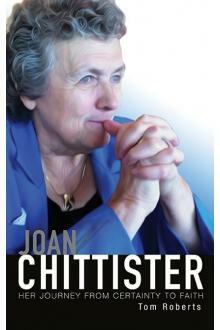 Joan Chittister, a Catholic sister and member of the Benedictine monastic order, is considered one of the foremost spirituality authors of our time. She has written more than 50 books. Her latest book is about the men and women in the early church who retreated to the desert to seek God with an undivided heart. Chittister says the sayings handed down from them still resonate with people today. Joan Chittister is a member of Mount St. Benedict Monastery in Erie, PA. Her new book is "In God's Holy Light: Wisdom from the Desert Monastics." Catholics will find it easier to seek a marriage annulment, as changes to the process announced by Pope Francis in September go into effect this week. 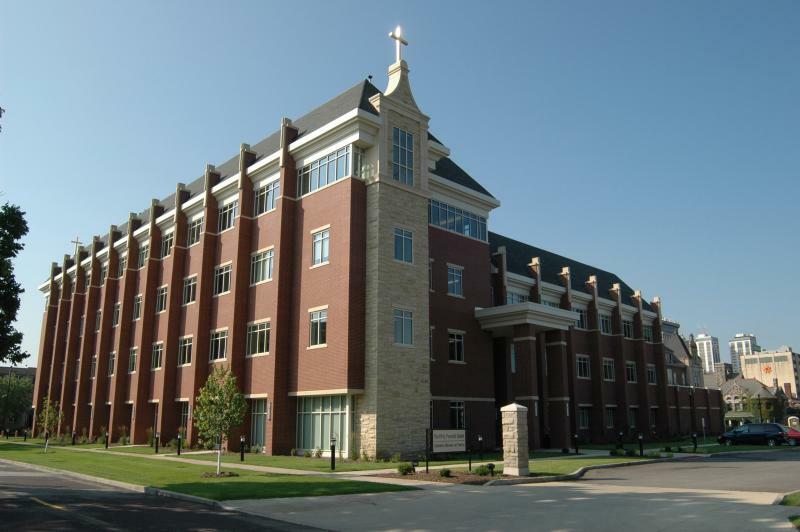 The additional process will make it easier for practicing Catholics who divorce their first spouses to remarry in the church. 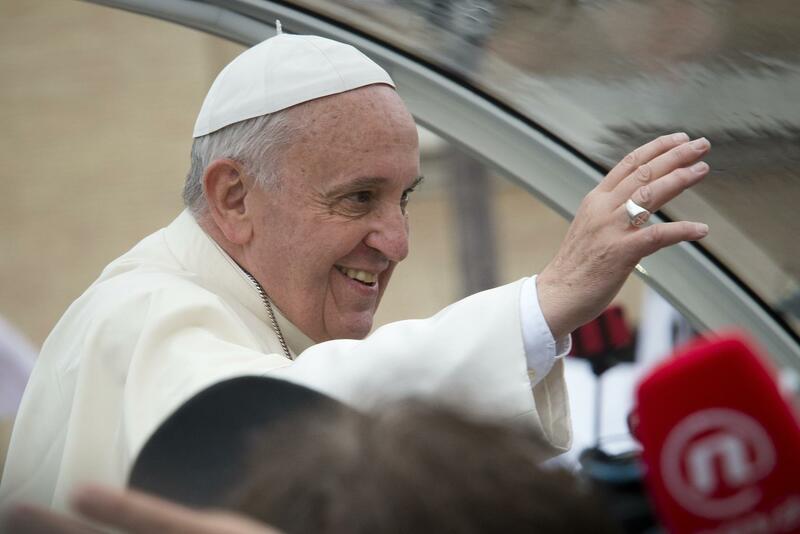 Pope Francis' historic visit to Philadelphia this past weekend drew more than a million people. 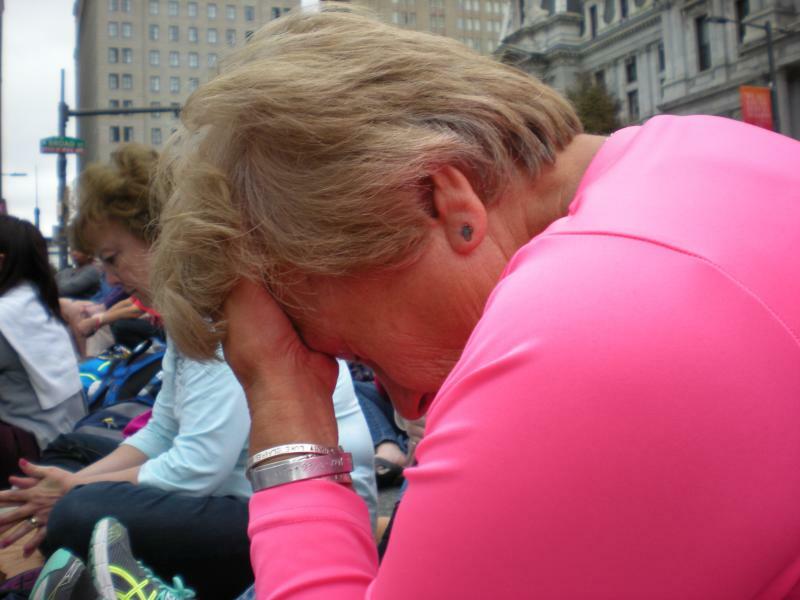 Among them was WGLT's Judy Valente, who accompanied a group of pilgrims from central Illinois. They drove through the night in a van to get there, hoping for a glimpse of the man in white. They got that and much more. For years, Tom Roberts edited Joan Chittister's columns for National Catholic Reporter. The two were friends and he says he thought he knew the Benedictine sister and spirituality writer well. That was before he began a series of lengthy and intense interviews with Chittister. Roberts' new biography plows some old ground, like Chittister's famous showdown with the Vatican over her support of women's ordination; her work on global human rights; her many books on monastic wisdom for contemporary readers, as well as her years as prioress of her monastery after the Vatican II reforms.